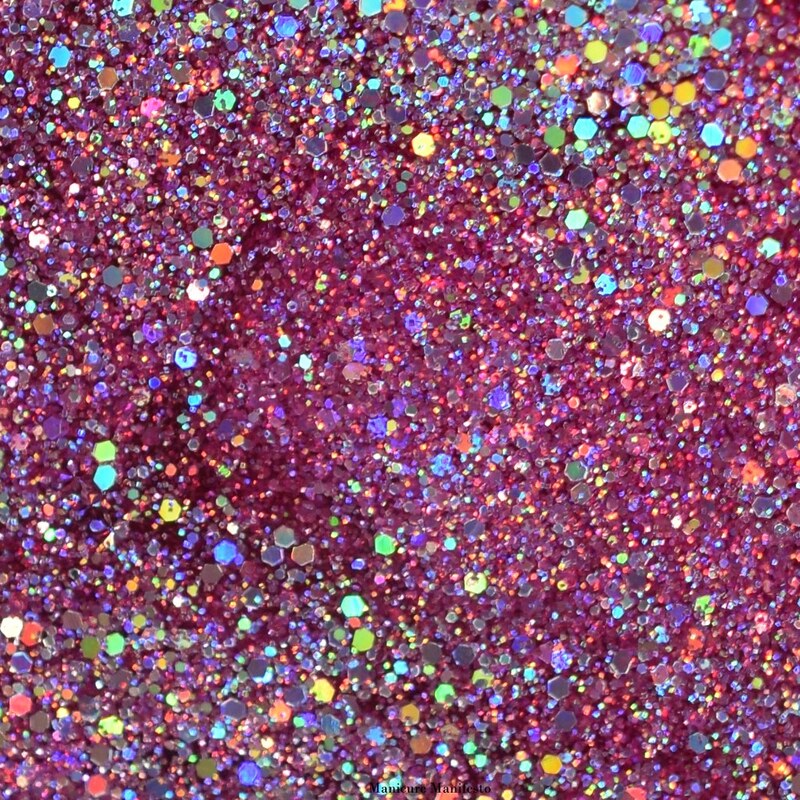 Did you know there was a National Nail Polish Day? I sure didn't. Turns out it's today, June 1st! 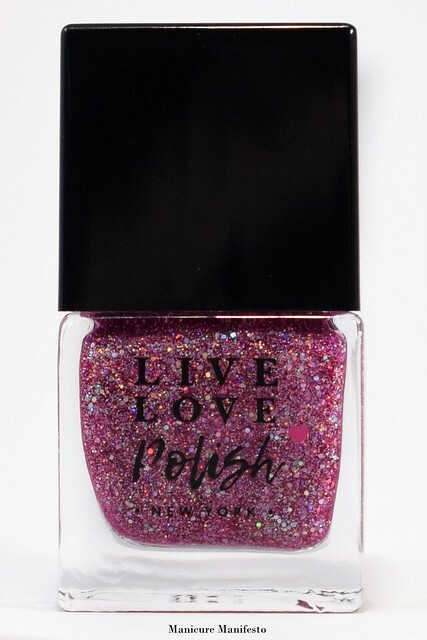 To celebrate, Live Love Polish created a limited edition polish, Party Favor. Let's take a look at swatches. 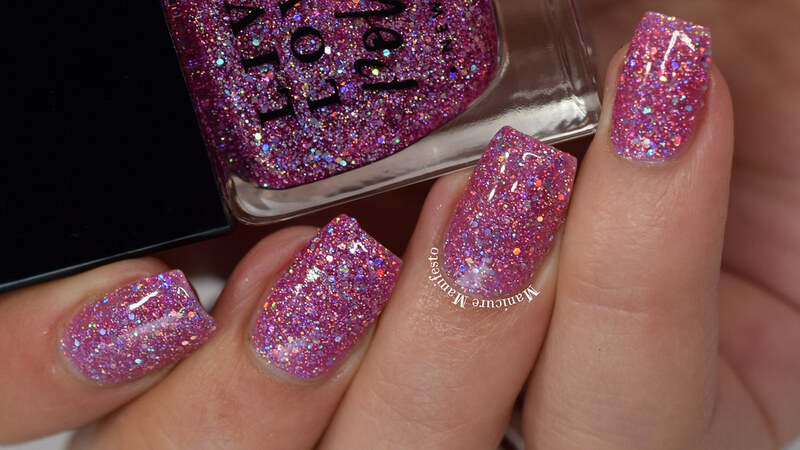 Party Favor features a pink tinted jelly base filled with a variety of tiny to small silver holo glitters. The formula was easy to work with taking two coats for (almost) full coverage. Technically my nail lines show through a tiny bit, but they're broken up by the glitters and overwhelmed with sparkle so I don't really notice. This does dry with a bit of texture because of the glitters so top coat is recommended to help smooth everything out. Photos show two coats of Party Favor with one coat of Live Love Polish Quick Dry Top Coat in daylight spectrum lighting.